There are signs that Morgan Stanley will have to tread carefully in the post-crisis, anti-Wall Street era if it wants to get rid of the Smith Barney brand. NEW YORK ( TheStreet) -- Morgan Stanley ( MS - Get Report) will have to tread carefully in the post-crisis, anti-Wall Street era if it plans on dropping the Smith Barney brand. 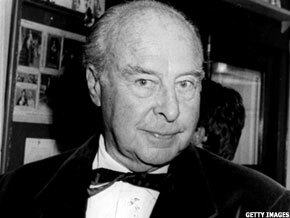 Actor John Houseman became synonymous with Smith Barney for the famous tag line, "We make money the old fashioned way. We earn it." Morgan Stanley is in the midst of acquiring the retail brokerage giant from Citigroup ( C - Get Report). The white-shoe investment banking firm is therefore making a big bet on the profitability of small-fry investors -- in stark comparison to the institutional and corporate clients on which it has built a solid reputation over the past 75 years. It's an ironic twist in the long history of Morgan Stanley, which itself was once part of J.P. Morgan. Those franchises split in 1935, due to a post-Depression rule that didn't allow commercial banking and investment banking to exist under the same roof. Fast forward to 2011: A new era of tighter regulation that promises, once again, to crimp big bank profits and dramatically alter the landscape of the financial sector. In a highly competitive and highly segmented environment for wealth management, Morgan Stanley has been turning to Main Street to make up for lost profits. As the integration begins to bear fruit, the firm also seems to be hoping those customers will embrace a foreign brand. "What's interesting is the question of whether Morgan Stanley has the potential to be a retail brand," says Kenneth A. Posner, a financial services industry analyst who spent 15 years at Morgan Stanley. "The company has a long history of providing really first-class investment banking services - and that goes all the way back to the split from JPMorgan in the 1930s. But on the retail side, it's completely unknown whether Morgan Stanley brand will resonate with people or not." Posner suggests that what the brokerage delivers will be even more important than whatever it's called. Differentiation is key to retaining existing clients and grabbing new ones, he says. But that's an especially difficult task in financial services where a product offered at one bank - whether a loan, deposit account, advisory service or trade - is almost impossible to tell apart from the same product offered at another bank, apart from price. Whatever Morgan Stanley has been doing so far seems to be working, at least from a financial perspective. Net revenue in its global wealth management division, which includes Smith Barney, soared 35% in 2010 to $12.6 billion, with pretax income nearly doubling, thanks largely to strong growth in new assets toward the end of the year. Morgan Stanley executives say there's low turnover of key brokers and money managers and that the integration is moving along better than expected. Spokesman James Wiggins says the Smith Barney deal has "catapulted Morgan Stanley into a leadership position in wealth management." The franchise had over 18,000 financial advisors and $1.7 trillion in client assets at Dec. 31, up 7% over the year-ago level. "The acquisition has given us the scale we lacked, and enables us to invest in new technology, training and professional development, and product development - all essential for leadership in this very competitive marketplace," says Wiggins. " Morgan Stanley CEO James Gorman has made it clear that wealth management will be an important pillar in the new, more diversified, more client-focused Morgan Stanley that we are building for the 21st Century." Though the firm won't comment on plans for the Smith Barney name, brands don't come cheap or easy. Chucking "Smith Barney" in the trash after 138 years would be, well, kind of a big deal. But it wouldn't be the first time for Morgan Stanley, which bought Dean Witter Reynolds in 1997 and erased nearly all signs of that brokerage giant by the turn of the century. Branding experts warn that Morgan Stanley will have to move more carefully this time around, if it wants to dissolve another trusted, long-standing name and replace it with that of a Wall Street bank. Smith Barney was officially founded a few years after Morgan Stanley, in 1938, but its predecessors have been managing clients' money since the 1800s. Although the franchise has gone through a raft of ownership changes - including Primerica, Travelers Corp. ( TRV - Get Report), Salomon Brothers and Citi - and had various names tacked onto its own, Smith Barney has always kept those two words intact. J. Michael Beird, director of the banking services practice at J.D. Power and Associates, has conducted customer surveys on brand changes that resulted from crisis-era deals. He says that customer turnover was high at banks that had a lot of changes and didn't communicate clearly and frequently with the public. For example, when TD Bank ( TD took over Commerce Bancorp, it changed the name to TD, then to TD Bank, leading to customer confusion. "I don't think many people in Jersey knew what a TD was," says Beird. On the other hand, when Spanish lender BBVA acquired Compass Bancshares, it combined the two names into BBVA-Compass. The bank was also proactive in reaching out and defining itself to targeted customer segments in the South, where Compass operated. Beird says the BBVA-Compass deal was a branding success story. He also cites PNC's ( PNC acquisition of National City, which didn't retain the Nat City brand but had a similar culture that customers felt comfortable doing business with. "You've got to keep everybody in the loop," says Beird, adding that "the longer it drags on, the less people understand who the brand is and what it stands for." Unfortunately, Morgan Stanley has little choice but to let its acquisition drag on. Morgan agreed in 2009 to purchase Smith Barney from Citigroup, but the deal was unique. Structured as a joint venture, Morgan Stanley paid Citi $2.7 billion up front for a 51% stake in a franchise that included both Smith Barney and its own wealth-management group. It will buy Citi out over an extended period of time - at least five years - paying market prices for the rest of the business, depending on how it performs. As far as the name goes, Morgan Stanley has been polling clients on six options for what the business could be called once all is said and done. Under consideration are Morgan Stanley Advisors, Morgan Stanley Private Wealth Advisors, Morgan Stanley Global Wealth Advisors, Morgan Stanley Wealth Advisors, Morgan Stanley Wealth Management and Morgan Stanley Global Wealth Management, according to Dow Jones, which first reported the name-change news. Other crisis-era deals offer a mixed bag of anecdotes, none of which portend the future of Morgan Stanley Smith Barney. Bear Stearns and Washington Mutual quickly vanished into JPMorgan Chase ( JPM - Get Report), which remains one of the strongest banking brands both at home and abroad. Similarly, Wells Fargo ( WFC - Get Report) is slowly but surely getting rid of the Wachovia brand and is also ranked high by customers. Bank of America ( BAC - Get Report) tacked its name onto Merrill Lynch, as it did before with U.S. Trust. But BofA has had trouble keeping top money managers and bankers as it integrates all the moving parts of its giant wealth management division. The company also turns up as one of U.S. customers' least favorite banks in surveys, due in part to fee policies of the past. At least one public relations executive in the financial services space thinks that scrapping Smith Barney in favor of Morgan Stanley might not be such a bad thing after all. "Morgan Stanley has such a strong name and they have good brand equity," says Richard Dukas, president and CEO of Dukas Public Relations, who has consulted with plenty of financial firms over the years about rebranding and messaging. "The financial crisis was so well-covered and well-publicized, so you have some clear winners. People realize that Morgan Stanley was a winner. They were a survivor. The reason why the Bear Stearns name was lost by JPMorgan, that's because you had a loser." Dukas points to Smith Barney's stodgy slogan - "We do business the old fashioned way" - as evidence that the brand needs rejuvenating. New clientele and existing customers who were shell-shocked by hits to their investments during the crisis may not necessarily think the old-fashioned way was the best way, Dukas says. He adds that having a multitude of "generic" words - Morgan, Stanley, Smith and Barney - in the franchise's current name might be overkill. "It's kind of like white bread," says Dukas. "'Yeah, Smith Barney, they've been around forever,' but what does it stand for?" Paul Kurnit, a marketing professor at Pace University's Lubin School of Business agrees: "Smith Barney is a classic brand. But, it is quaint, not current, charming, not forward edge....Likely, if it goes away, will not be terribly missed." But branding expert Rob Frankel isn't one of the "Morgan Stanley" champions. He says Smith Barney resonates better with the customers it's targeting, and thinks getting rid of it would be "a real dopey move." "If you keep switching things in and out, people have no way of building that trust because you're constantly changing," says Frankel. "They look to that brand so they can invest their loyalty and their money into it. They want to know it's going to be here today, here tomorrow and was here for a long time." Derek Pilecki, an alumni of Goldman Sachs' ( GS - Get Report) asset management group who founded the investment firm Gator Capital Management in 2008, suggests that the disappearance of Smith Barney may be an issue of sentimentality more than one that will affect its ability to serve customers well. In a comment echoed by other investment professionals, Pilecki says Citi had "underinvested" in the Smith Barney brand in the five years leading up to the joint venture with Morgan Stanley, which diminished its value more than a name change will. "I'm sad about losing the Smith Barney brand from the marketplace," says Pilecki, "but the retail brokerage industry has had constantly evolving brands."